We all like to imagine that we’ll never be in an accident of any sort, but often even the most careful drivers can get into accidents because of other reckless drivers on the road. Car accidents are shocking, dangerous and often fatal. If you have just been in an accident, these tips can be used as a checklist for what you should do. Even if you haven’t had an accident, it would still be a good idea to read over these tips so you’re prepared for any possible future crashes. No matter how minor the accident is, always stop when you have crashed into someone, it can be classed as an offence if you don’t. It’s important to shut off your engine and turn on your hazard lights so that other drivers know there has been an accident and you won’t be moving for a while – this will also help to prevent other accidents. Just because you’re not injured after the accident doesn’t mean that the other driver is the same. Always approach the other driver to make sure that they and any other passengers are okay. This is also your chance to establish how bad the damage to their vehicle is and whose fault the crash was. Make sure that you record the details of the crash, including where and when the crash happened, who was involved and the weather conditions. If you can, take pictures of the crash for evidence. Whilst you’re collecting details, try to find any witnesses in case you or the other driver wants to take the case to court. Even if you appear fine and have no cuts or bruising, many injuries can lie beneath the surface. If there is anyone in shock or bleeding or visibly hurt – whiplash needs medical attention – call an ambulance as soon as possible. If the accident was minor and there are no apparent injuries book an appointment with your usual doctor just to make sure that everything is okay. Alternatively, if an ambulance is not needed but you are worried, you can take yourself take to the emergency department. It’s important to get the vehicle off the road to avoid blockage. Getting your car towed means it will be taken to a garage where you can collect any of your things from the car, go online to FastMelbourneTowing.com.au to get your vehicle removed quickly and safely. It is vitally important that you contact your insurance and let them know what happened, but make sure that you don’t settle with the other driver’s insurance company until you have been checked medically. If the accident is proven to be the fault of the other driver you could get compensation. Even if you don’t want to claim you should still contact your insurance company for any help and advice that they may be able to offer. Buying and constructing a carport is a superb idea for anyone who wants to ensure that their vehicles and equipment are kept fully protected from the outdoor elements such as rain, hail, winds, and snow but are unable to fit those vehicles or equipment in your garage. There are many different kinds of carports that you can buy, like you can see here on Carports and More, and choosing a specific one for your vehicle comes down to a number of key factors that we are going to talk about now. What Type Of Vehicle(s) Do You Have ? There are different designs of carports made for different kinds of vehicles. The carport that you would buy for protecting your RV or travel trailer is not the same one that you would get for protecting an SUV or small sedan. If you are looking for a carport that can protect a sedan or small SUV, then your best bet is probably going to be the regular 12×21 size. On the other hand, if you want to protect a larger SUV or a full sized pickup truck, then you’re going to need something larger that can accommodate a larger vehicle. What Is Your Environment Like ? Think about the environment you live in and the weather you have to contend with each year. Do you live in an area that’s more tropical but more vulnerable to rain, or do you live in an area that gets brutal winters and blizzards ? If you live in an area that gets a lot of snowfall during the winter, for example, you would be best served by a carport that has a vertical design for the roof, so the snow will slide down instead of piling up and causing potential damage. 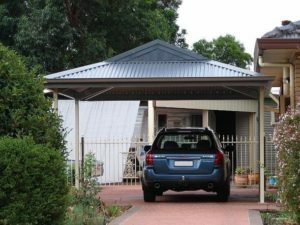 Regardless of where you live in, a carport can prove to be an invaluable investment because it can save you hundreds or even thousands of dollars that you may otherwise would have been forced to spend on repairs to your vehicle. You also need to take the future into account as part of your overall buying process. If you plan on purchasing another vehicle sometime in the future, it would be wiser to buy a larger carport now to accommodate both vehicles (even if you don’t anticipate buying another vehicle for a couple years). Or maybe you plan on keeping other vehicles or tools protected under your carport as well, such as snowmobiles, motorcycles, ATVs, UTVs, or power equipment. It will definitely be preferable to have a carport that is too large (at least for right now) rather than one that is too small. 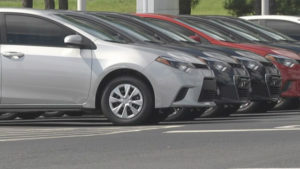 Most car buyers are faced with a strict budget, even when buying used vehicles. This does not mean that you have to settle and purchase something that is not safe. There are so many great vehicles that are sold under $20,000 and that offer all the safety that you need to feel great as you drive. 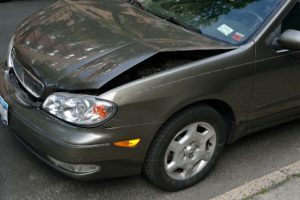 These are all cars that even a car accident lawyer will want to recommend in the event they are asked about what is the best option for safe vehicles. With a perfect safety score, this luxury vehicle will add spaciousness, performance and refinement to a huge attributes list. The top safety pick is an award received from IIHS and reliability score is much higher than average. 5 people are comfortable seated and the standard features are much more than you would expect at the overall used car price of around $13,000. Try to find the models that have the 17 speaker system since the Genesis is just one of 2 cars launched that year that included it. Even if you need to pay a little more for the parking sensors, a rearview camera and navigation system, good engines, excellent acceleration and power and a really good EPA make this a perfect buy. Subaru Outback is all-wheel-drive and is perfect for a family that wants to often arrange trips around the country. It is suitable even for off-roading and weekend adventures, offering good comfort for 5 passengers. Back seat space may be better suited for children but you can sacrifice that given the fact we are talking about a used safe car that is around $8,500 and comes with standard features that are better than some of the new cars. You want to consider the 2.5 liter 4 cylinder engine that offers 175 hp. The only problem is the transmission but if you check that and it is in good working condition, handling will be great. When looking at the 2012 upscale small size cars, the Buick Verano is usually considered the second best option. The high cost to own is what practically means you do not have to deal with a lot to keep the car running. Verano’s interior is quiet and the ride is comfortable, all while handling is more than enough to be of great performance together with the really strong breaks. The average paid price for the used 2012 Buick Verano is $13,500 so you will want to look for those models that include Bose sound system and satellite radio. 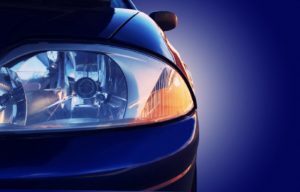 It’s essential to have the right cover in place if you drive a car – but is there any way to save money on this unavoidable expense? We share our top ten tips for reducing the cost of your car insurance. Some types of insurance are more important than others, and with many of us trying to save money any way we can, it’s tempting to take a ‘pick and choose’ approach to the cover you need. However, if you drive car insurance is something you must have in place. Not only is it a legal requirement, it’s also essential to know you’re covered should an accident or theft happen. That said car insurance isn’t something you should simply shell out for without a second thought to how much it’s costing. It is possible to drive down the cost of your car insurance considerably by following a few simple steps– here are our top 10. This is the first thing you should do with any type of insurance nowadays, when the internet makes it so easy to compare car insurance quotes from different providers. No longer is it necessary or financially sensible to just accept your renewal or take the first quote you’re given. There are many insurance companies who now offer great deals on motor insurance, such as TrustATrader Insurance, as well as others. This doesn’t always mean looking for the cheapest cover, but instead finding a policy that will suit your requirements precisely, at a price that will suit your budget. It’s free to get quotes from car insurance providers so you’ve nothing to lose in comparing as many as you can until you find the right one for you. The more secure your car is, the more your insurer will see you as low-risk and therefore charge you less for insurance. So wherever possible it can really pay to make your car as safe and secure as possible. It’s well worth installing an immobiliser and alarm system (preferably Thatcham-approved as not all security systems are accepted by insurers). This will lessen the risk of your car being stolen and so will reduce your insurance premium. Another great thing the internet has brought to those needing to find cheap car insurance is the ability to buy online. As well as making the whole process a lot easier for you, as you can arrange your insurance from the comfort of your desktop, buying online is also preferable to your insurer – it means less paperwork and hassle for them. For this reason, many car insurers offer significant discounts just for purchasing your policy online, so next time your car is up for renewal, opt for the online route.